Balthayock Marquis. Catalogue Number 399. Sire Balthayock Impression. Dam Balthayock Firefly. Impression is the highest ranked bull for terminal and replacement index in the national herd and is proving to be very easy calving. 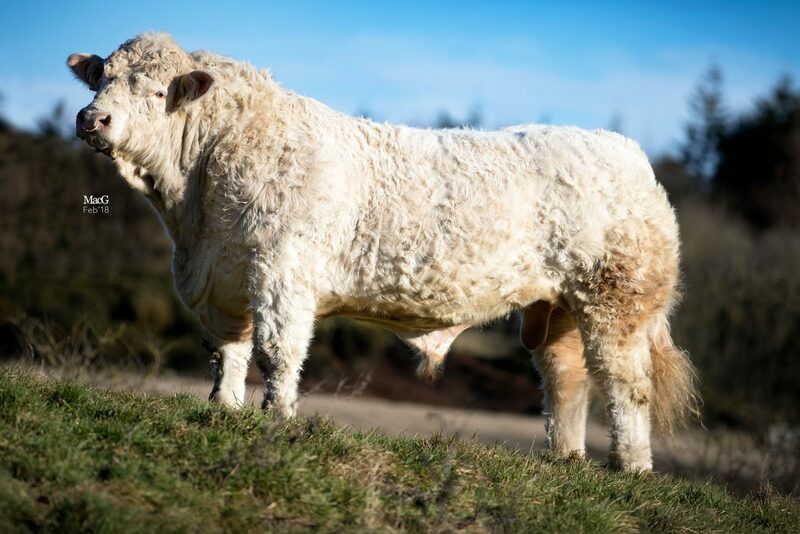 He is a very modern bull of average size but with great length with outstanding figures for calving ease, growth, milk, scrotal circumference, eye muscle and fat cover. He has an exceptionally good temperament. Firefly is an embryo daughter of the 26,000 guinea Balbithan Vespasian who has bred so well for Blelack and Balthayock and out of the famous Balthayock Rosita by Dingle Hofmeister. Marquis carries the best of Balthayock bloodlines. Balthayock Mikado. Catalogue Number 401. Sire Balthayock Imp. Dam Balthayock Heaven. 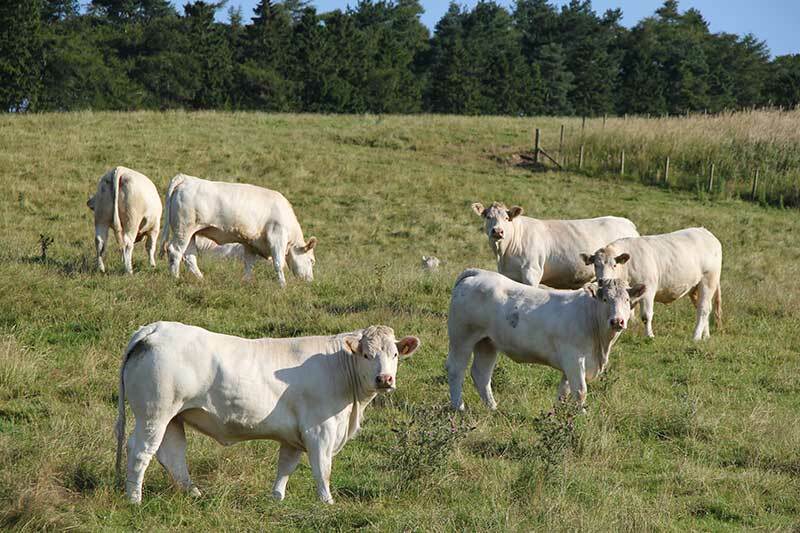 A top 1% bull with an exceptional EBV for growth combined with easy calving. Balthayock Imp was male champion and junior interbreed champion at the RHS in 2015. We are very pleased with his first crop of calves which have inherited all his good looks and breed character. 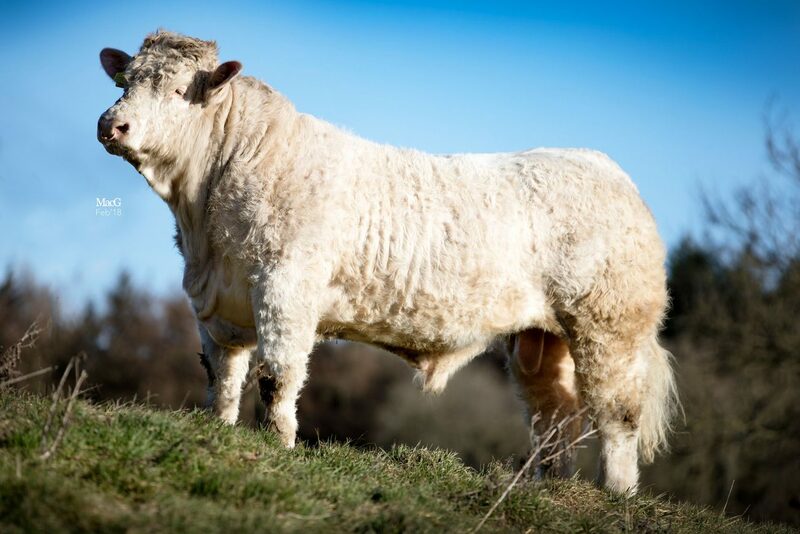 Balthayock Heaven by Swalesmoor Cracker out of the 26,000 guinea Balbithan Vespasian goes back to the famous Balthayock Unwary dam of Balthayock Impression. Balthayock Marauder. Catalogue Number 407. Sire Balthayock Ferdinand ET. Dam Balthayock Heather. Balthayock Ferdinand won many show championships in his day and sired our top priced bull so far, Balthayock Justice sold to the late Gilbert Crawford for 50,000 guineas. 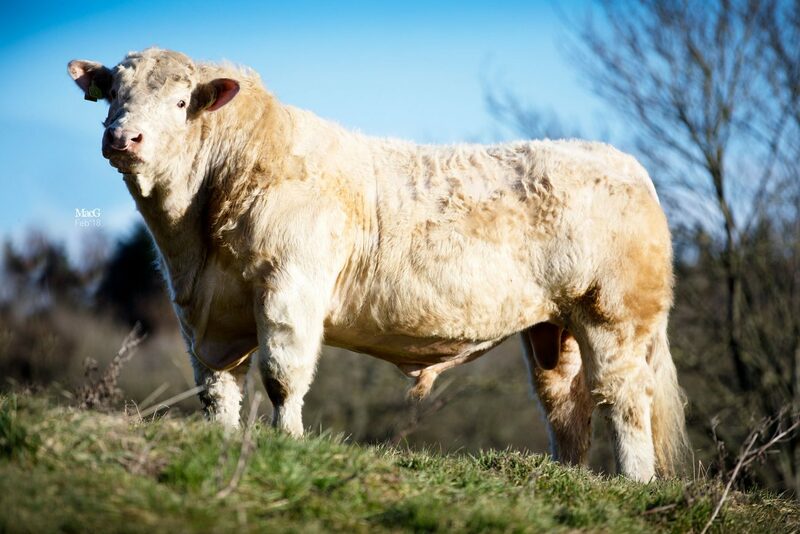 Ferdinand is a gentle giant and breeding exceptionally well with top class sons and daughters. Heather is a daughter of Ugie Echo a reserve junior champion at Stirling in his day and the sire of many bulls sold for high prices. His last son sold to the Marwood herd in October for 16,000 guineas. Balthayock Maxim. Catalogue Number 410. Sire Maerdy Grenadier. Dam Balthayock Felicity. Maerdy Grenadier was male and junior interbreed champion at the RHS in 2012 and sired the female champion at the RHS in 2017. He topped the averages of sires with three or more bulls sold at Stirling last October at £7602 to a top of 12,000 guineas. 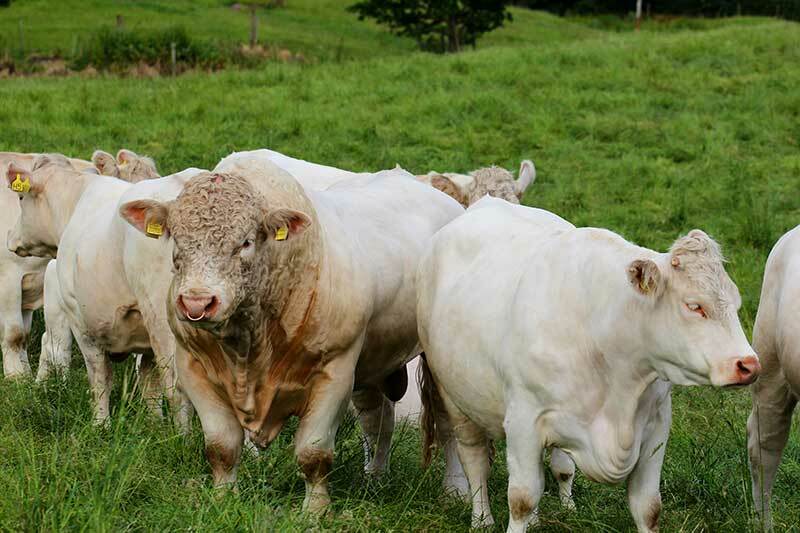 He was judged the best stock bull in a large herd at the last Scottish and Northern inter-herd competition. Felicity by the 26,000 guinea Balbithan Vespasian has bred sons to £10,000. 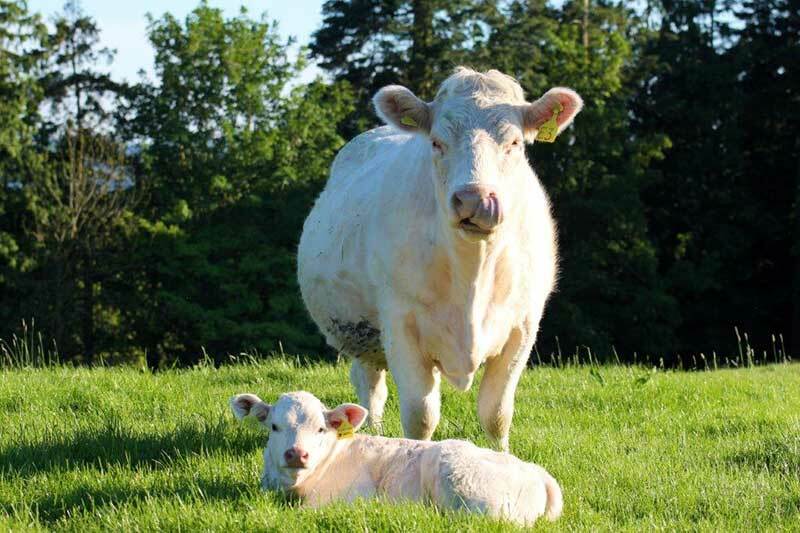 Her dam Balthayock Britannia is still going strong with 10 live calves to her credit. Balthayock Mandate. Catologue Number 412. Sire Maerdy Grenadier. Dam Balthayock Gold. Mandate is a very powerful son of Maerdy Grenadier who was male champion and junior interbreed champion at the RHS in 2012, and sired the female champion at the RHS in 2017. He topped the average of sires with three or more bulls sold in October at Stirling at £7602 to a top of 12,000 guineas. 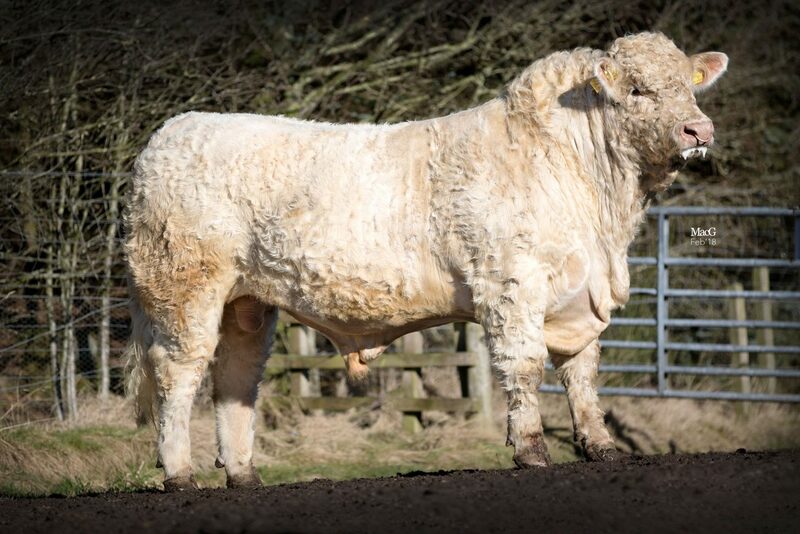 He was judged the best stock bull in a large herd at the last Scottish and Northern inter-herd competition. 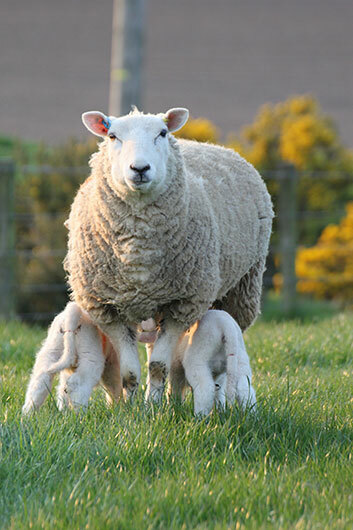 Gold is a daughter of Swalesmoor Cracker one of our most successful herd sires and a leader in seven different traits in his EBVs including short gestation, 200, 400 and 600 day weights, milk and retail yield. Balthayock Minstrel. Catalogue Number 420. Sire Balthayock Ferdinand ET. Dam Balthayock Gem. 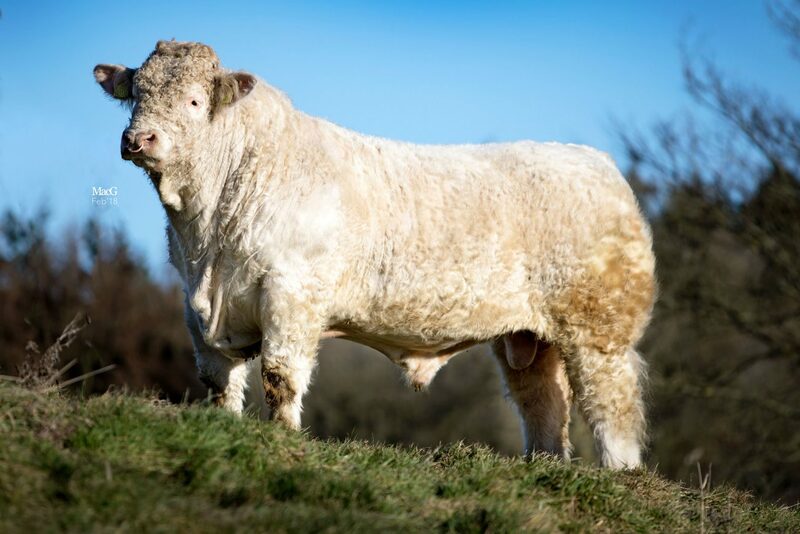 Balthayock Ferdinand won many show championships in his day and has sired our most expensive bull to date, Balthayock Justice sold to the late Gilbert Crawford for 50,000 guineas. 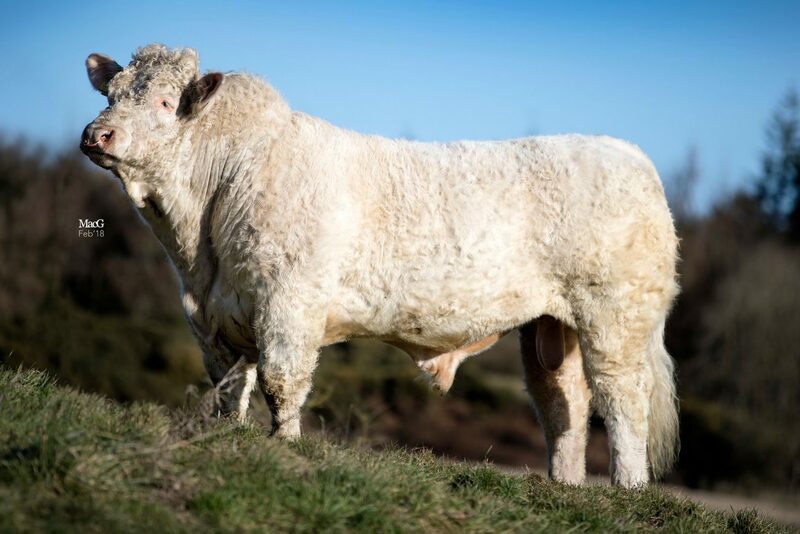 Ferdinand is a gentle giant and breeding exceptionally well with top class sons and daughters. Minstrel is in the top 5% of the national herd. His dam Gem by the very easy calving Barbican Lancer who joined the Balthayock herd in 1977 and whom we have used ever since on heifers, was the dam of Balthayock Lisa, the reserve female champion at the RHS in 2017. Balthayock Manifesto. Catalogue Number 421. Sire Balthayock Imp. Dam Balthayock Finesse. Manifesto is in the top 5% of the national herd with a very high EBV for weight gain and eye muscle area but still positive for ease of calving. His sire Balthayock Imp was male champion and junior interbreed champion at the RHS in 2015. We are very pleased with his first crop of calves who have inherited all his good looks and breed character. 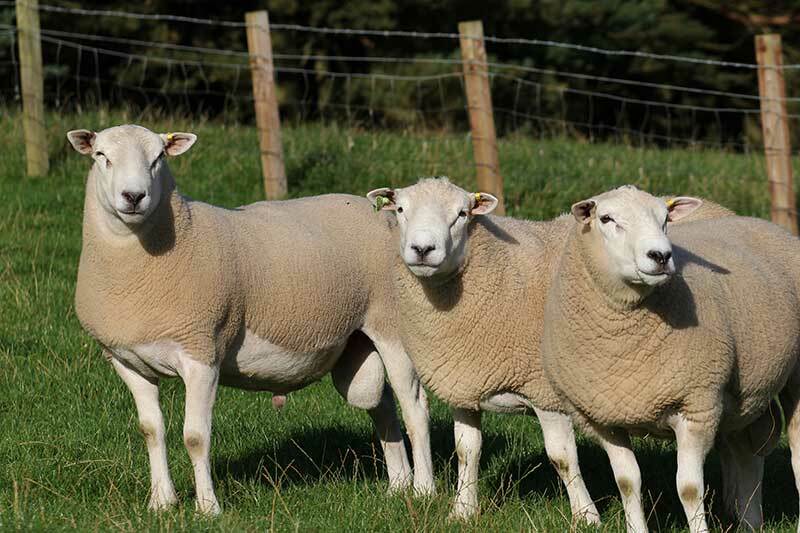 Balthayock Finesse by Swalesmoor Cracker out of the famous Balthayock Rosita is full of the best and most successful Balthayock bloodlines. 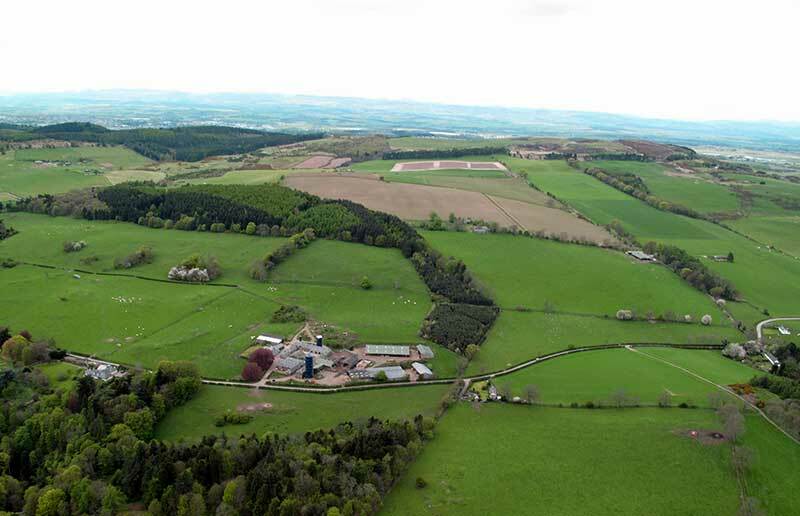 She has already bred bulls up to 9,000 guineas. Sire Ugie Echo. Dam Balthayock Ira. Echo was reserve junior champion at Stirling in February 2010 and champion at the Perth show. 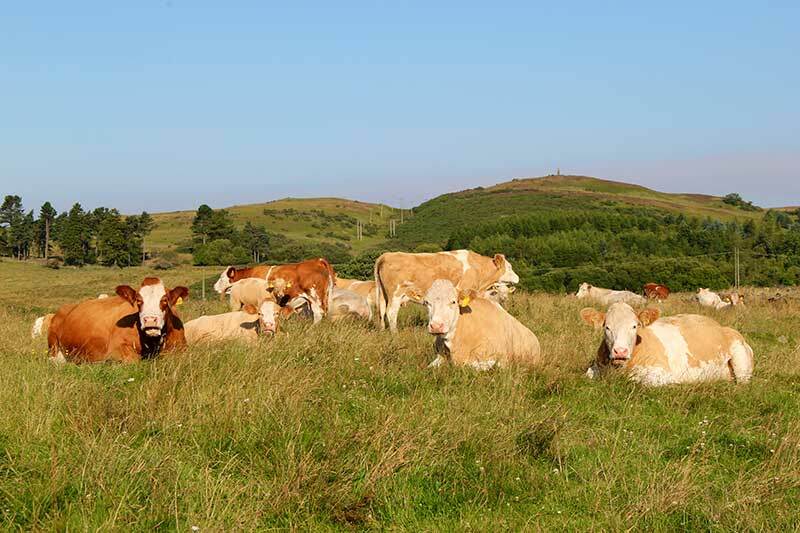 He has proved to be exceptionally easy calving and has a great temperament. 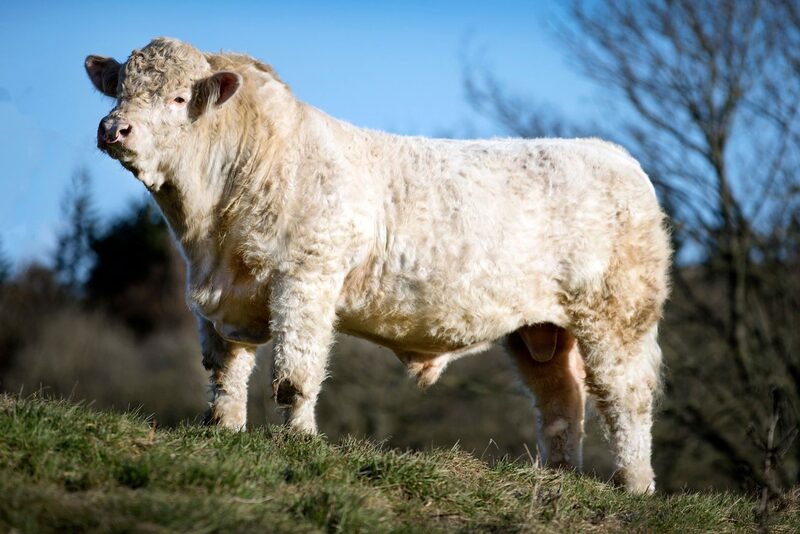 He has sired many high priced bulls including Balthayock Lineup bought at Stirling by the Blyths last October for their Marwood herd for 16,000 guineas. Ira is by the very easy calving Barbican Lancer who we have been using through AI since 1978. Balthayock Marvin. Catalogue number 452. Sire Maerdy Grenadier. Dam Balthayock Diana. Grenadier was male and junior interbreed champion at the RHS in 2012 and sired the female champion in 2017. 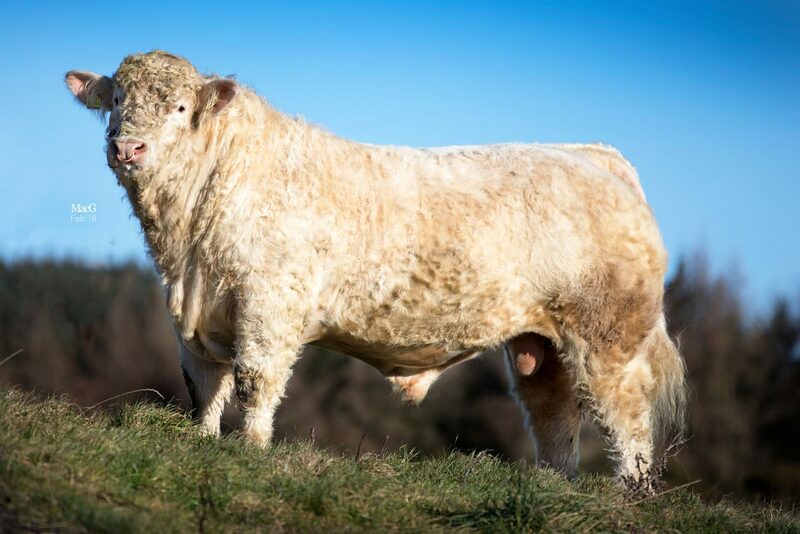 At the Stirling October sale in 2017 his sons topped the bull averages at £7602 to a top of 12,000 guineas. 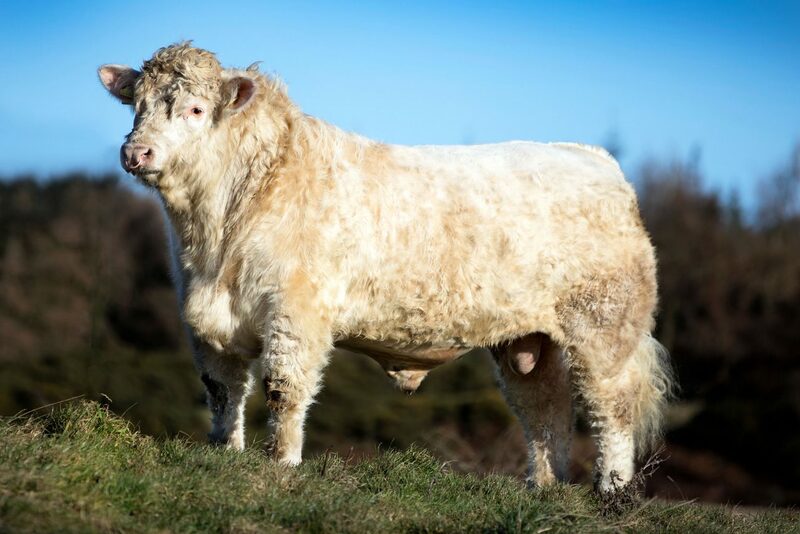 He was judged the best stock bull in a large herd in the last Scottish and Northern inter-herd competition. Diana by the very easy calving bull Barbican Lancer who we have been using through AI since 1978, is out of a Dingle Hofmeister daughter going back to Balthayock Gelatin, one of our most successful breeding cows.